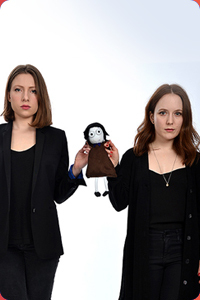 Celeste Dring and Freya Parker emerged from sketch troupe Lebensmüde to form the duo of Lazy Susan. Extreme Humans demonstrated an impressive range of skits including Viv and Steve whose bittersweet exchanges were compared to Ricky Gervais' iconic work The Office. The duo are currently developing a radio pilot and their next show.